Dr. Ilan Alon (Ph.D., Kent State University, USA) is Professor of Strategy and International Marketing at the University of Agder. Prior to that he also had research positions in Harvard University, Georgetown University (USA) and University of International Business and Economics (China). Alon is a researcher in the field of international business with a focus on internationalization, modes of entry, political risk, cultural intelligence and emerging markets. His publications have appeared in the Harvard Business Review, Management International Review, International Business Review, Journal of International Marketing, International Marketing Review and others. In addition to being a professor, Alon is the Head of International Affairs for the School of Business and Law at the University of Agder, and leader of the Emerging Markets research group. He is also Editor-in-Chief of the International Journal of Emerging Markets and the European Journal of International Management. 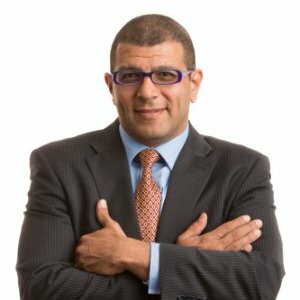 Ilan Alon has worked with government bodies, non-profit organizations, multinational companies and international association on various projects ranging from capacity development at the macro level to international business development at the firm or project level. Ilan Alon has 2 products available, viewing 1-2.